We STILL Learn Something New Every Day. « R-V There Yet? We STILL Learn Something New Every Day. When we blew into the Dallas area last week, we decided to try something new. 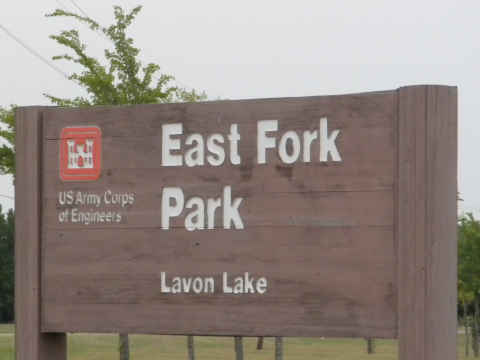 Instead of staying at a regular RV park or the Cedar Hill State Park, where we have in the past, we decided to try out a US Army Corps of Engineers park. 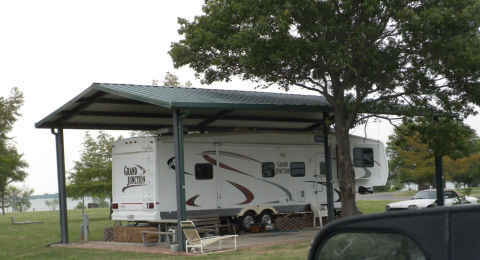 The closest one to the kids and grandkids turned out to be East Point Park on Lake Lavon, near Wylie, TX. The online reservation system is fantastic, easy to use and is site specific. They provide huge sites with electric (30/50 AMP) and water. A sewer dump station is also available. With the size of the spaces, we almost feel alone. Here’s the good part….. If you happen to have a federal park discount, such as a senior pass, the cost is only $9.00 per day. 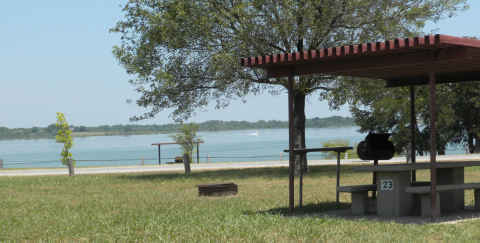 Many of the sites have a waterfront view. It appears that the park “hosts” have a pretty sweet gig. They get a covered site with sewer. They have an entire section for the equestrian types that frequent the park. 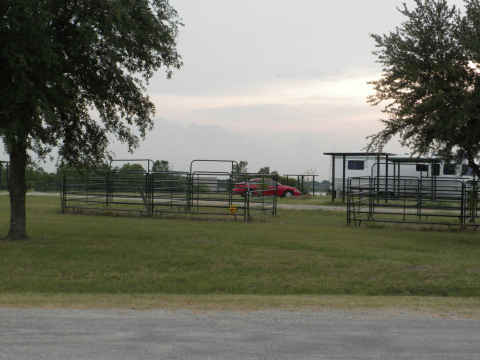 Each RV site has its own corral. Here’s a few tips. Tip #1 – The gate closes at 10:00 PM. 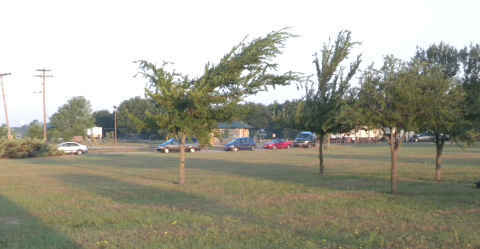 The photo below shows a few of the cars that parked outside the gate after hours. I guess they had a nice stroll back to their RV site in the dark. Tip #2 – We were told that if we come in late, be sure to walk on the pavement because of copperheads , a venomous snake. (I feel that this is a most important tip.) And finally, Tip #3 – If you happen to be going out with another park visitor and plan to be out after 10:00, park one car just inside the gate. 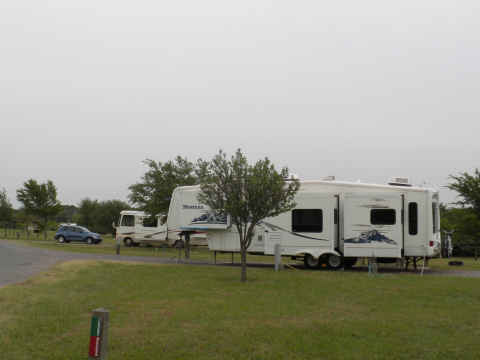 Then you can drive up, park outside and have transportation to your campsite with the staged vehicle. This place is really nice and it will become our home base for future visits. This entry was posted on Friday, June 11th, 2010 at 1:33 pm and is filed under Texas, TX Dallas/Fort Worth. You can follow any responses to this entry through the RSS 2.0 feed. You can leave a response, or trackback from your own site.